SKU: 8005. 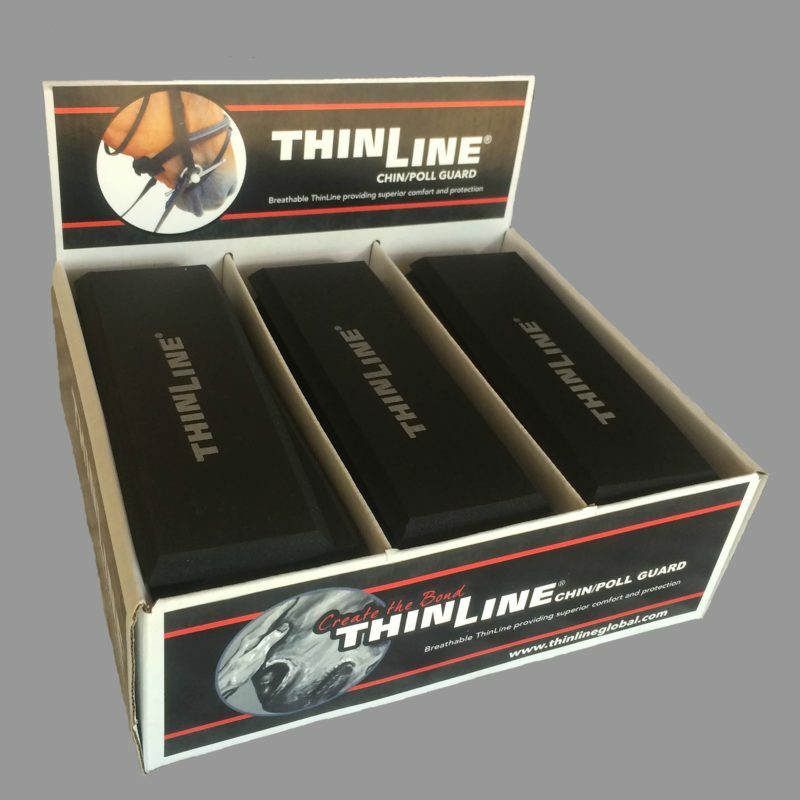 Categories: Shop All ThinLine Products, Dressage Equipment, Horse And Rider Tack, Bridles & Equipment. Tag: bridle parts. Made from our fabulous ThinLinePlus 1/4″ material, this Guard will give your horse the ultimate comfort under his noseband or poll. This chin guard breathes, is non-slip, and has anti fungal agents to keep skin healthy. Distributes pressure to keep your horses in maximum comfort. Give your horse relief from pressure with the very best. Care Instructions: No care required. Perhaps a sponge off occasionally. Hands down the best chin pad that we have ever used. They actually stay put! Eliminated a rub from the noseband on my new horse in two days. Inexpensive and effective. Q how do these attach? A Thank you for your question! The Chin, Poll, and Noseband guard is held in place by pressure and contact. For those riding with looser nosebands, riders have had great results with attaching Velcro dots to the noseband (soft side of Velcro) and the Chin, Poll, and Noseband guard.